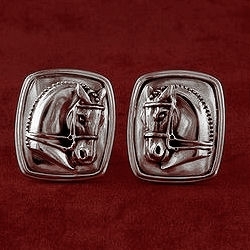 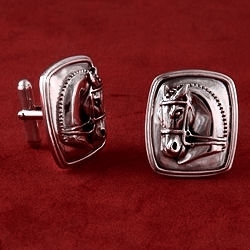 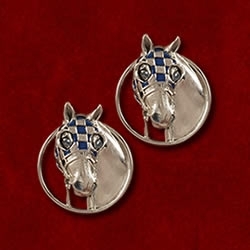 Classic square sterling horse head cuff links with torpedo back. 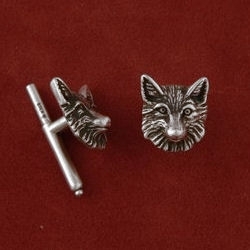 Can come with 14k head or 14k frame. 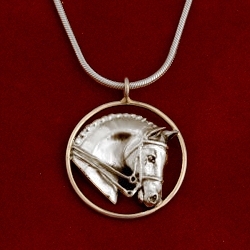 Frame measures 3/4 inch wide by 1 inch long.